“North Korea will refrain from any further nuclear or missile tests. I told President Trump that at our meeting (in Pyongyang), North Korean leader Kim Jong-un said he’s committed to denuclearization” – provided his country’s security is guaranteed, what’s been unattainable throughout the post-WW II period. According to Chung, a meeting between both leaders will take place by May. North Korea will suspend nuclear and ballistic missile tests ahead of and during talks. He and Japanese PM Shinzo Abe also agreed to continue applying maximum pressure on Pyongyang, Abe to visit the White House in April. The date and location of Trump’s meeting with Kim remains to be announced. Throughout its history, no US president ever met with a DPRK leader. Washington is hostile toward all sovereign independent countries like North Korea, wanting them transformed into pro-Western ones, observing US rules. They include unrestricted free market access for its corporations, privatizing state enterprises at fire sale prices, deep social spending cuts, mass layoffs, workers paid poverty wages, and other neoliberal policies. America is a notorious deal-breaker, its history strewn with broken promises. Betrayal is longstanding US policy – time and again agreeing to one thing, then doing another. Its agreements aren’t worth the paper they’re written on. The historical record is clear – one broken promise after another since the beginning of the republic. Rare exceptions prove the rule. US policymakers reject cooperative relations with all other nations, wanting America’s interests served. 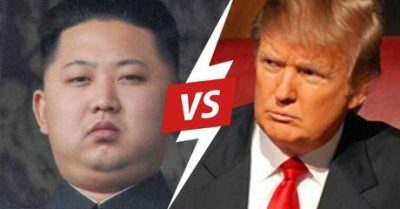 Kim and Trump meeting and whatever follows won’t likely change decades of US hostility toward the DPRK – not as long as its sovereign independence remains unchanged, refusing to become a US vassal state – the price Washington demands to be taken off its target list.